The truth is that most writers are needy. As I write this month’s entry for The Insecure Writer’s Support Group, I imagine opening the door to a quaint coffee shop. The heavy aroma of roasting beans welcomes me. I walk in and take a seat in a luxuriously large and inviting sofa. Its cushiony softness envelops me. Settling in, I look around and see a lot of people, some are familiar, but many are not. 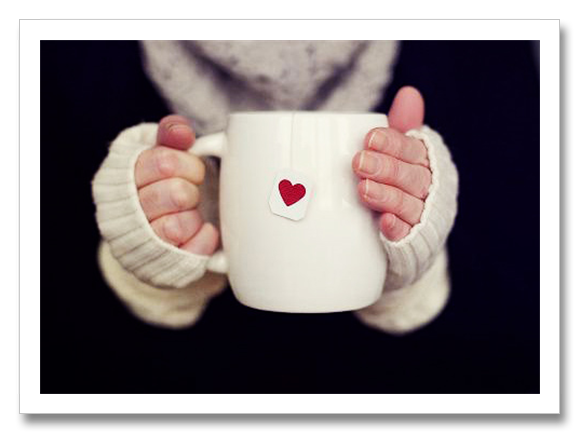 Everyone has a friendly smile as they murmur softly, warming their hands around oversized earthenware mugs steaming with hot cocoa, coffee or tea. I worry when I think I’m clever. Chances are that I’m never as clever as I think I am. Take for instance my Halloween post where I ‘dressed up’ my blog as the blog of Edgar Allan Poe. The idea of blogging as Edgar struck me over a month ago. I thought it was a great way to make my Halloween post special and unique. Excited by the prospect, I wrote Poe’s ‘profile’ and blog excerpt confidently. But as I hovered my mouse over the ‘publish’ button, I suddenly wondered if I was the only one who thought it would be fun to blog as a long-dead, world-renowned author?’ Sure the concept made me smile. But would my writing do it justice? Could I make readers smile too? I steeled myself for a barrage of criticism (How derivative! ), a pelting of rotten tomatoes, or worse, no comments at all. The fear that my attempt at creativity would go completely unnoticed almost kept me from ‘publishing’, but I took the risk and received a small but positive response. More importantly, I enjoyed researching Poe and learning about his critical theory. I don’t remember studying his theory of composition in college. Whether others enjoyed The Tell-Tale Blog or not, the post was worth writing and the risk was worth taking. The lesson in all of this: Stop second-guessing myself and allowing doubt to erode my confidence. Before sinking back into the welcoming arms of this over-stuffed coffee-house chair, I must also admit my insecurity about NaNoWriMo. I’ve known about NaNoWriMo for four years, but this is the year I’ve signed up. November is such a busy and chaotic month. But I figured participating in a group challenge would motivate me to make time to write no matter what else is going on. I’d love to be as disciplined in my writing as I am in my running. The first step is to make writing a priority; the next is to make it a habit. NaNoWriMo should help me do both. I’ll be sure and let you know how it goes when we ‘meet’ again next month. Until then –a round of hot cocoa for everyone! This entry was posted in Blogging, Insecure Writers Support Group, Writing and tagged iwsg, nanowrimo by Brianna. Bookmark the permalink. You’re brilliant!! Don’t let doubts get in the way, although we all experience these from time to time. Have fun with Nanowrimo… I commend you for it. Mmmm, the sweet aroma and taste of hot chocolate, and the warmth of camraderie are filling my senses . . . thanks to your sensory filled, thoughtfully worded post. Thank you! I loved NaNo last year, although I wasn’t sure how I was going to make it. With one under my belt, I’m not so nervous this year, but I know it will still be a stretch. Just keep running the race with endurance . . . or as Dory in Finding Nemo says, Just keep swimming, just keep swimming. I love On Writing. I almost finished it when it mysteriously disappeared. I should go to the library and see if its there. I have to cast doubts aside when writing. The need to express oneself often gives signposts for the writer to stay within themselves and write something awesome. Hey! Thanks for dropping by on my blog! And if you can’t make fun of long-dead, world-renowned authors, who can you make fun of? Boy, I so relate to this post. If I start second-guessing myself I drive myself nuts. I try to pay attention to how I feel with the first impulse – I’m getting to the point where I can tell if I’m getting a green light or not. It takes attention and practice, let me tell you. Good luck. Cocoa makes everything better. And I’m glad you hit publish, because I liked your Poe channelling blog. Good luck with NaNo! New follower from ISWG and I loved this post, Poe and the whole look of your blog. Look forward to reading more! Writers ARE needy. We need privacy, and space, and freedom, and creative stimulation. And that’s just the tip of the iceberg. I’m glad you published your tell-Tale blog. Life’s about taking chances and not being afraid to fail or look silly. I’ve found that by writing for one person, whomever it may be, it helps curb the anxiety in what others will think. Best of luck with NaNo! I’m doing my own version of it this month. It’s such fun! Thanks for reminding me to “just push publish”. I am the great second guesser. Sure sometimes it’s a crazy ramble, but sometimes, it’s something that touches someone’s heart and helps them get through the night. That’s what we write for right? I’m afirst time NaNo this year and having the time of my life. OK ask me again on 11-30, but so far so good. Sometimes we just have to go for it! Especially after all of your research. You had to. Lately the things that come about as spur of the moment (which isn’t how I normally operate) end up better than anything I could’ve planned. Like this support group. Now I worry if I plan something for too long. Wise words! I second guess everything too — even this comment! Good luck with NaNoWriMo! You can so do it. There’s a difference between simply trying to be clever and actually achieving it. You’ve achieved it on so many levels with Poe! I’m so sure that you’ll do the same with NaNo, that I’ll bet my hot cocoa on it! Love the imagery in this post. I want to be right there with everyone on the comfy cushion nursing my cup of cocoa and listening in on inspiration.